FOR LEASE---Approximately 4000sf of space in this 10,000sf excellent office building FOR LEASE. 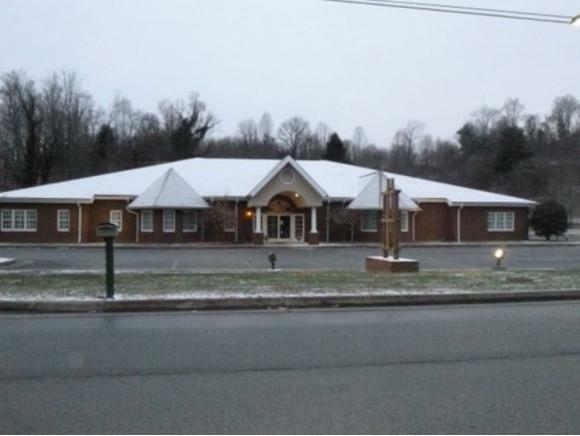 This Brick Office Building is located just off Lee Highway in Bristol, Virginia and just off Exit 5 of Interstate 81. This is a great location for a Regional Office in Southwest Virginia. The space features several individual offices, Conference room, executive offices, large lobby/reception area, plus lots of paved parking and easy access. The other portion of the facility is occupied by Renaissance Medcare. The space would be Excellent for Medical, Corporate Office, Professional Office, Insurance / Financial Office, Counselling Office, plus many other offices. The Owner will consider Leasing Individual Offices, Groups of Offices, or the Entire Space to Tenant. All Utilities are furnished to Tenant. Dont Miss This Opportunity for Your Business!!! Gross Lease Rate--$15.00sf.